When you feel down and out you must reach up and out--to Spirit! Our strength will only resonate deep within your souls if you open your heart and minds with us. 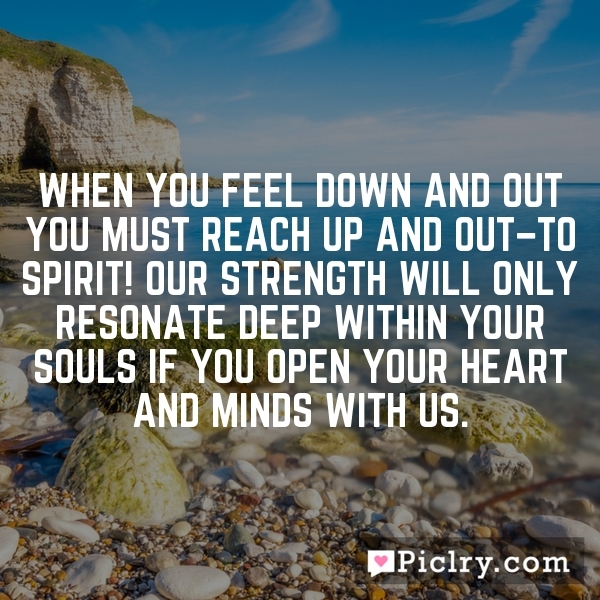 When you feel down and out you must reach up and out–to Spirit! Our strength will only resonate deep within your souls if you open your heart and minds with us. Happiness is not found in serenity, tranquility or surrealism. It is found in harmony of thoughts, actions, and reality.